My friend Joelyn Feverly decided to enter the AQS “GO challenge” contest. Here’s her quilt. She brought the top to me to quilt and I was like “oh wow…….what am I going to do with it? As time went on and the deadline for entry drew near……… I finally came up with an idea. I tried several different things but with the hearts set as they were and not much space between them, I was very limited on putting designs around the hearts. I ended up going with feathers here and there. Some hang down, some don’t…………. 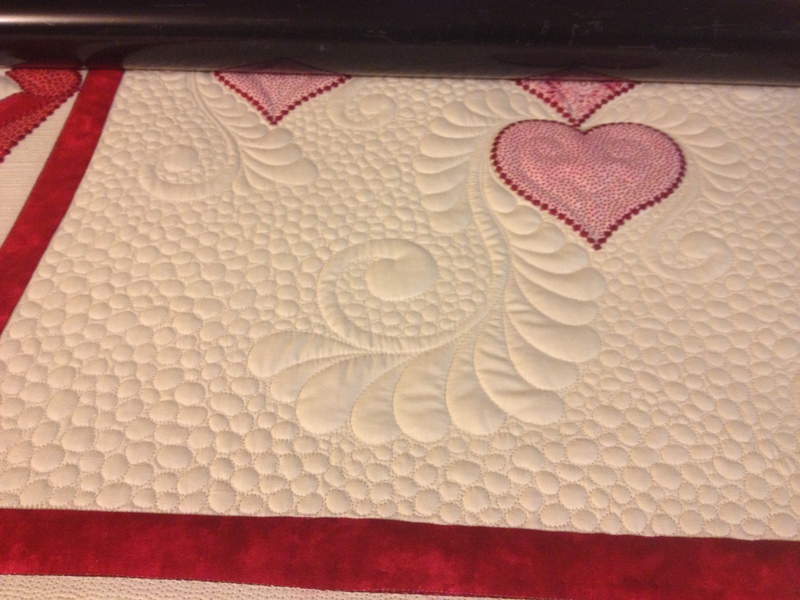 After giving it back to Joelyn, she scalloped the borders and put a piping on it. Here’s the pic she sent me. 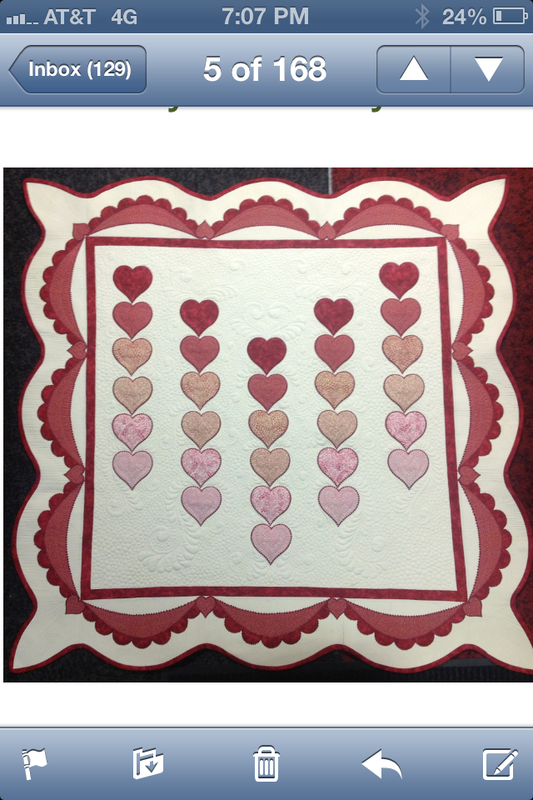 I am proud to say that it WON the “Out of the box quilting” award in the contest!!!!! I really did go out of the box trying to come up with the quilting designs for it!! I was afraid it would look like %$#%$^$ but it didn’t. 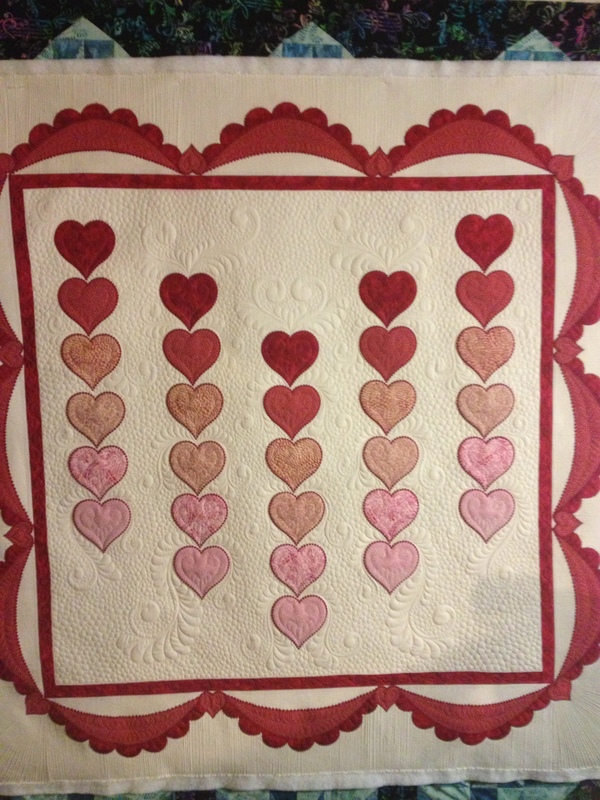 It’s making it’s debut at the AQS Grand Rapids quilt show this weekend. 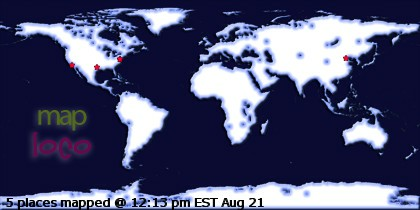 It will then travel for the next year or so to several other AQS shows. 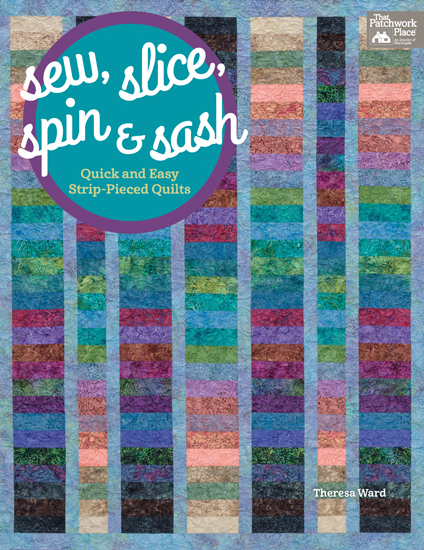 So if you go to an AQS show where they have the “GO have fun challenge quilts” check it out! Ok that’s it for now……..
Congrats! 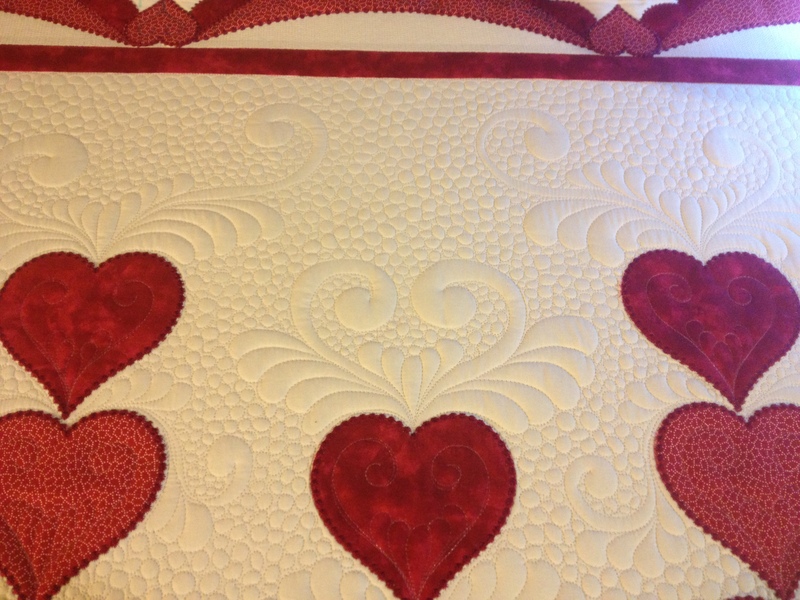 That is truly gorgeous quilting. 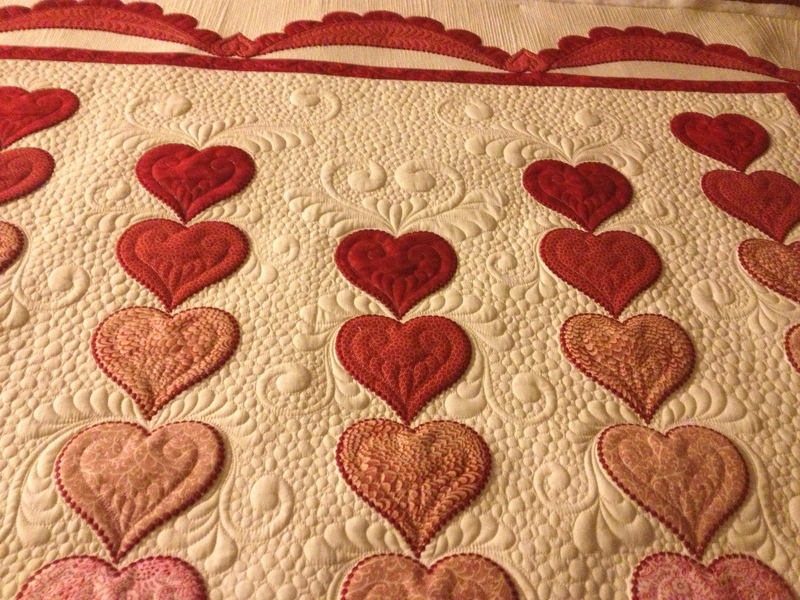 You give me inspiration to try to master feather quilting. Thanks. Thank you! 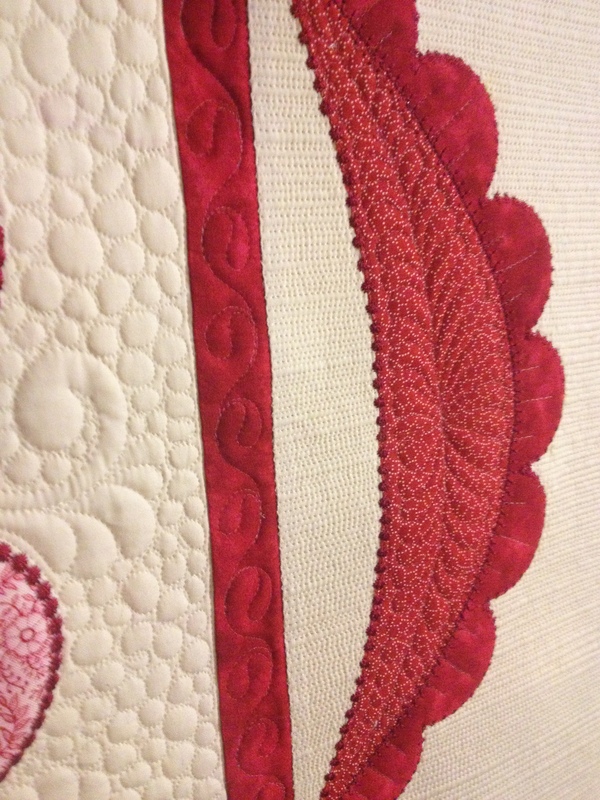 I love quilting feathers and I hope you can master them. My early feathers were pretty sad looking but I kept at it. Good luck with them!! You CAN do it! !